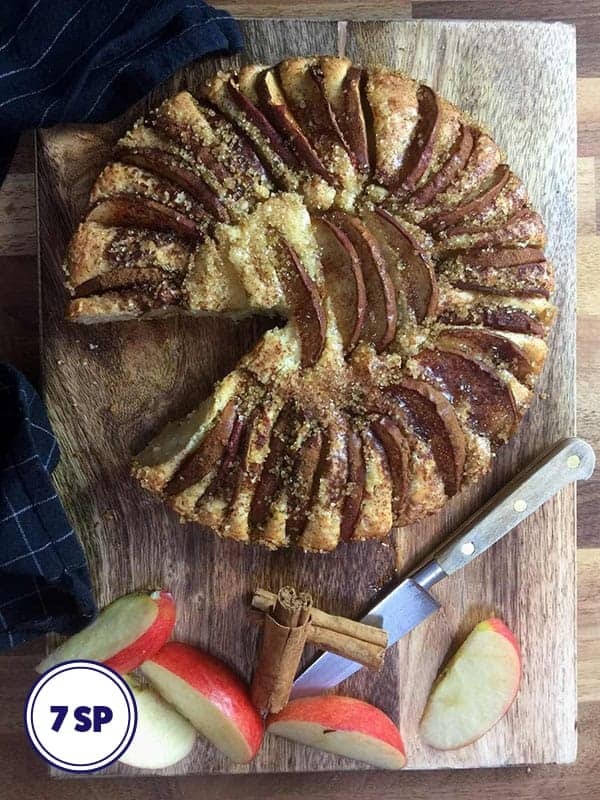 This Apple Cake is 7 Smart Points on Weight Watchers Flex or Freestyle plan. I eat it warm with a small scoop of Halo Top or Oppo ice cream for a very decadent dessert. 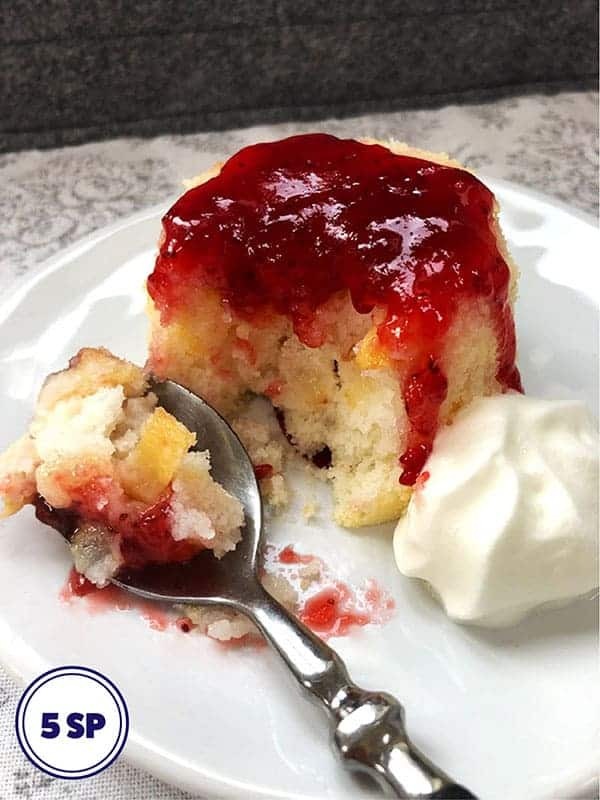 This Weight Watchers cake recipe is a must if you are looking for a dessert that is light and moist and has lots of flavour. 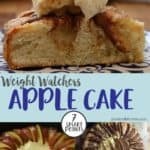 This Apple Cake is one I used to often make prior to starting my Weight Watchers journey. 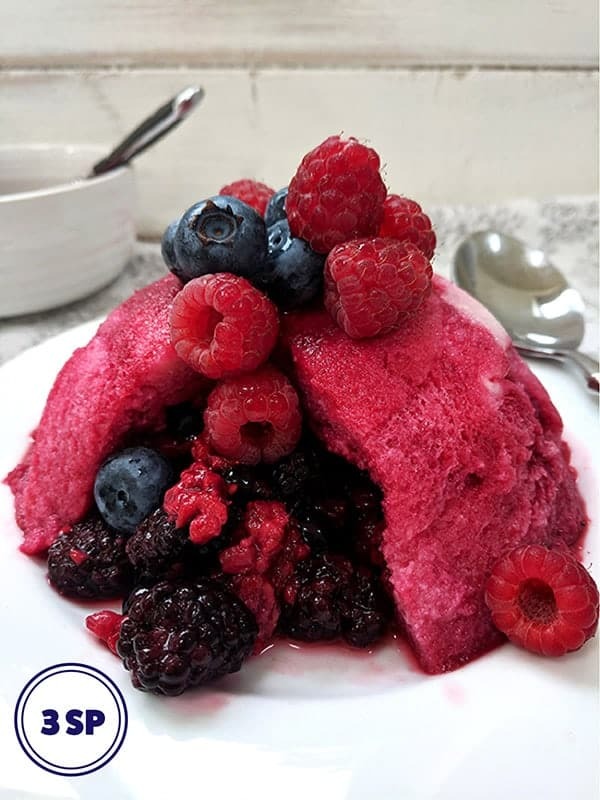 With a few tweaks, like using 0% fat free Greek yogurt instead of full fat yogurt, reducing the amount of sugar that I used and using low fat spread instead of butter I was able to bring the Smart Point down to a reasonable level without compromising on the taste or texture of this wonderful cake. You’ll notice that I used demerara sugar to sprinkle over the top of the cake. I feel it needs that sweet crunch that demerara sugar gives but omit this if you’d prefer. Halo Top vanilla bean ice cream for an extra 3 SmartPoints but it also works equally well (almost!) with a spoonful of 0% fat thick Greek yogurt. The cake freezes well if you find a whole cake sitting around too much of a temptation. Slice it up and portion it into freezer bags before freezing for easy access to a tasty low point treat! I use sweet eating apples to layer on the top of the cake. As I mentioned before, I used demerara sugar to sprinkle on top of this cake. I only used 2 tablespooon but it gives the cake extra sweetness and a bit of crunch. If you can’ t get hold of demerara sugar then you could use one of these Demerara Sugar Substitutes. I used Flora light low fat spread. If you are in the US you can use one of the light vegetable oil spreads such as Blue Bonnet or Olivio. If you are used to baking with butter, you will notice that the low fat spreads don’t work the same way. You can’t really cream low fat spread and sugar until light & fluffy (like you would with butter). Just whisk it till well combined before adding the eggs. You can omit the demerara sugar from the top of the cake and save yourself 1 SmartPoint! 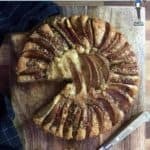 Looking for alternative dessert recipes? Preheat the oven to 340oF / 180oC / 150oC Fan. Line and grease a 23 cm cake tin. Core and slice the apples and set aside. In a large bowl, whisk together the low fat spread and the caster sugar/superfine sugar until it is smooth and pale. Add the egg. Sieve the flour and baking powder and salt into the mix and whisk until smooth. Add the yogurt and mix to incorporate. Scrape the mixture into your prepared cake tin and smooth down the top with a spatula. 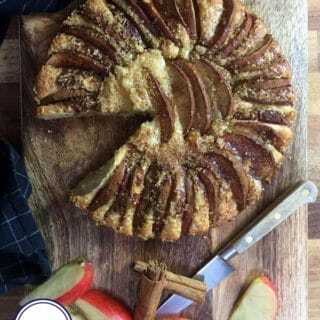 Place the apple slices in a spiral on the top of the cake and sprinkle over the demerara sugar (if using) and cinnamon. Bake in the preheated oven for 40 - 45 minutes until golden brown and a skewer inserted in the middle of the cake comes out clean. Remove from the oven and leave to cool for 10 minutes before turning out onto a cooling rack. 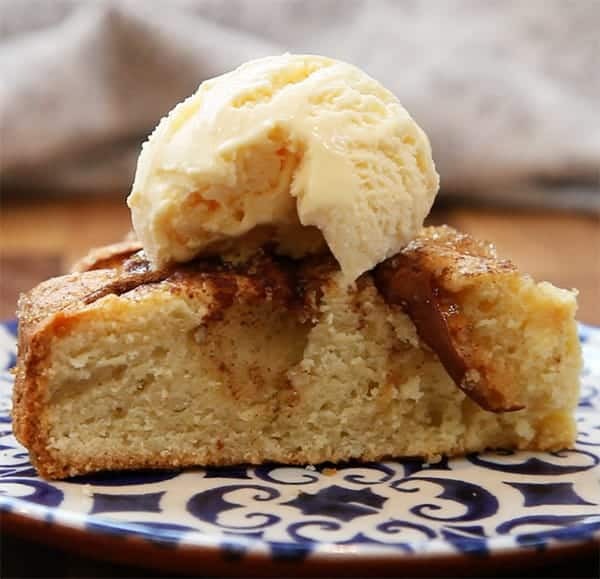 This cake is fantastic served warm with a scoop of low fat/ low sugar ice cream such as Halo Top.